A young male with progressive paraplegia. General examination reveals a Gibbus deformity, relatives claim that it is there since childhood but was never been a problem except cosmetic issues so not evaluated ever. 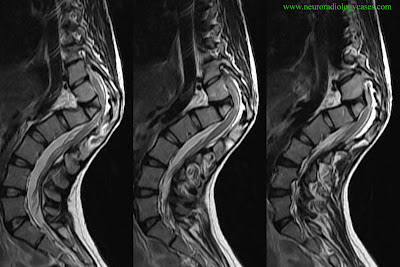 MRI Sagittal T2w images of dorso lumbar region spine shows severe kyphosis secondary to congenital dorsal hemivertebra, a failure of formation anomaly. Significant cord compression and cord flattening noted at the apex of the deformity with abnormal intra medullary T2 high signal attributed to changes of myelomalacia. Spinal kyphosis is a rare cause of chronic cord compression and myelopathy. There is significant correlation between the kyphotic angle and the degree of spinal cord compression Changes are marked at the apex of kyphosis. Early radiological recognition of the deformity is essential to delineate the extent of bony abnormality and any associated cord compression and signal changes so early and adequate spinal cord decompression with reconstructive surgery of spine has better outcome. MRI is the investigation of choice. In long standing and neglected cases patient presenting with delayed paralysis is not uncommon with signal changes in cord where surgical corrections are associated with poor outcome. Spine has a series of normal curves in cervical region and lumbar region when viewed from the side. The normal anterior convexity is medically referred to as normal lordotic curvature by which the spine is bent backward. In dorsal region the normal anterior concavity that is medically referred to as normal kyphotic curve by which the spine is bent forward. These normal curves allow the head to be balanced exactly over the pelvis with shock absorption. Exaggerated anterior curvature lead to abnormal kyphotic deformity. In that Congenital kyphosis is the least common type of abnormal kyphosis and is usually associated with severe degree of kyphosis. Congenital kyphosis result from abnormal segmentation or failure of formation of part of vertebral body due to an abnormal development in utero. The congenital kyphosis can be progressive, causing a more exaggerated hunchback. In rare cases, lead to cord compression with neurologic deficit including weakness, loss of sensation, loss of bowel and bladder control. 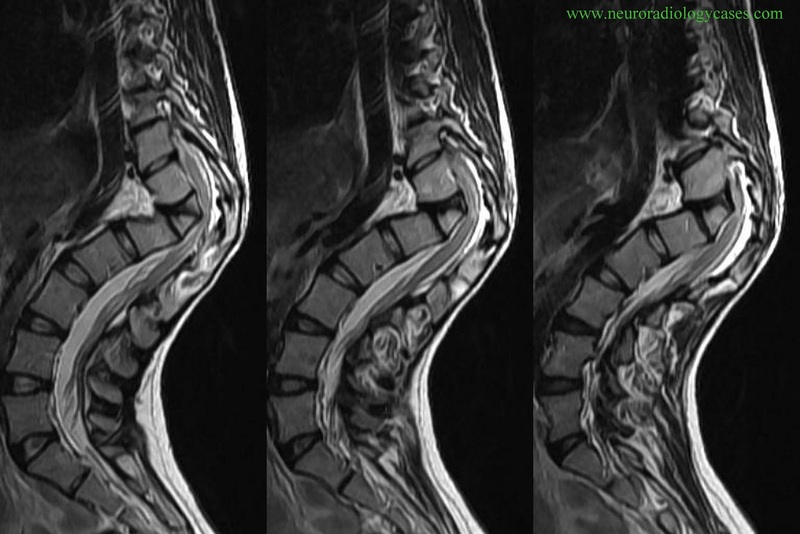 The histopathological changes observed at the level of chronic cord compression in cases of severe spinal kyphosis are cord demyelination and ischemia. Demyelination initially affect the anterior funiculus, later involve lateral and then the posterior funiculus. There is an associated neuronal loss and atrophy of the anterior horn. These histologic changes of demyelination and cord ischemia are attributed to continuous mechanical compression of cord, friction of cord against the apex of kyphosis and compression of vasculature of cord. Micro angiography revealed a decrease of the vascular distribution at the ventral side of the compressed spinal cord supports an associated cord ischemia. The thought of your article is pretty distinctive which is a good factor in driving more visitors to visit your site.I even told my friends to take a look at your post and in fact your blog is already bookmarked on my computer. Hope to see more of this. Keep it up!